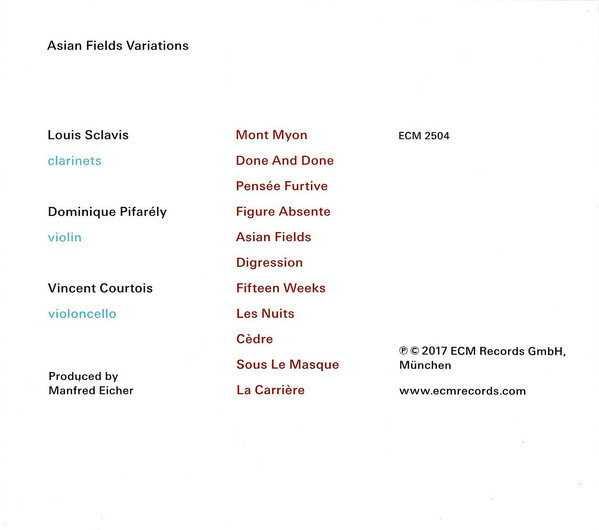 Asian Fields Variation marks the first time that clarinettist Louis Sclavis, violinist Dominique Pifarély and cellist Vincent Courtois have recorded as a trio. 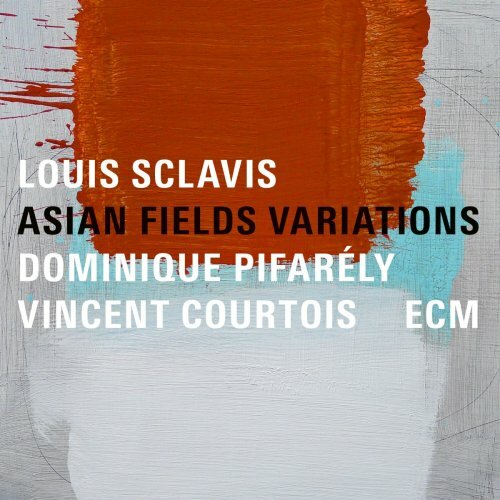 Sclavis summoned the project into existence, but this is a democratic group of creative equals: “I proposed that we make a real collective, and each of us composes for the programme.” For a ‘new’ group, it has a lot of pre-history: Sclavis and Pifarély have played together in diverse contexts for 35 years, Sclavis and Courtois for 20 years, but they retain the capacity to surprise each other as improvisers. “We’re drawing also on a lot of different playing experiences, and we’re continually bringing new things to the project. 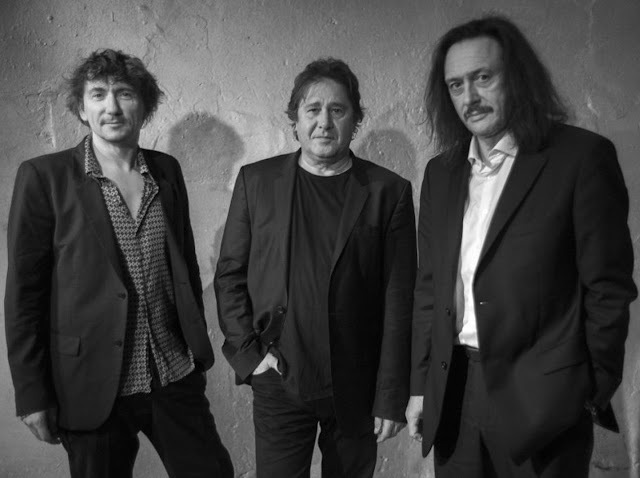 We keep going deeper.” The album was recorded at Studios La Buissonne in Pernes-les-Fontaines last September, with Manfred Eicher as producer, and it is issued on the eve of a major French tour. International festival dates follow in summer 2017. 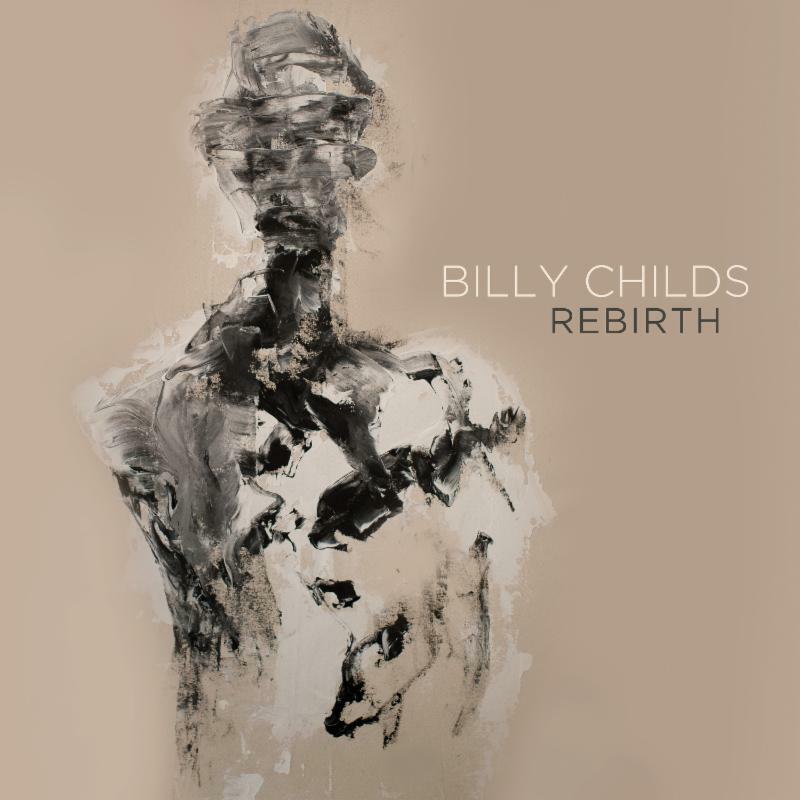 On his new album Rebirth, Childs reaches back to the start of his almost astoundingly varied musical experience—leading a small jazz band of state-of-the-art musicians with his piano playing. 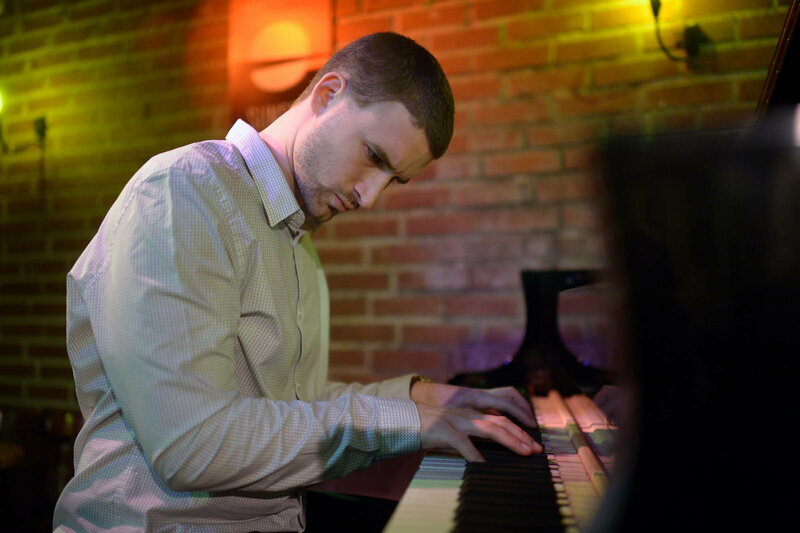 At his musical core, Childs is an improvising pianist. He has the ability to equally distill the harmonic and rhythmic languages of classical music and jazz into his playing. 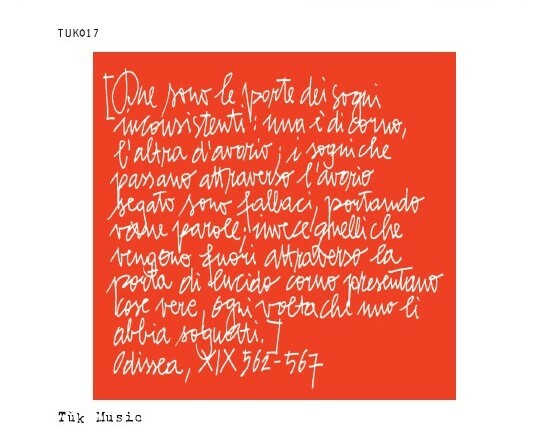 The wide-ranging vocabulary on the taut track “Tightrope” begs the question of Childs’ love of classical music; “I’m not just jazz,” he stresses. His insistent pulse and melodically probing introduction to song is a key to the Childs’ musical identity: open to extended harmonic possibilities as they come along, taking a flexible approach to time and leaving an open door for input from his bandmates. Childs released his first solo album, Take For Example, This... in 1988, on Windham Hill Jazz Records. It was the first of four critically acclaimed albums on the imprint, culminating with the celebrated Portrait Of A Player, in 1993. Childs’ multiple musical interests also include collaborations, arrangements, and productions for other world-renowned artists, including Yo-Yo Ma, The Kronos Quartet, Wynton Marsalis, Sting, Chris Botti, and Leonard Slatkin, among others. 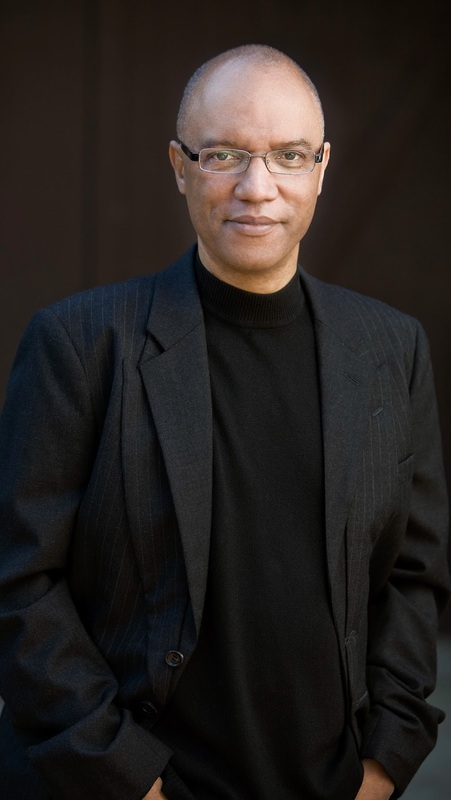 He has received orchestral commissions from The Los Angeles Philharmonic, The Los Angeles Master Chorale, The Detroit Symphony Orchestra, and The Lincoln Jazz Center Orchestra. In 2013 he premiered “Enlightened Souls,” a commission from Duke University featuring Dianne Reeves and the Ying Quartet, to commemorate fifty years of African-American students attending the school. In 2014 Childs released Map to the Treasure – Reimagining Laura Nyro (Sony Masterworks), which was produced by Larry Klein and features Reneé Fleming, Esperanza Spalding, Alison Krauss, Shawn Colvin, Rickie Lee Jones, Becca Stevens, Ledisi, Chris Botti, Yo-Yo Ma and Susan Tedeschi. 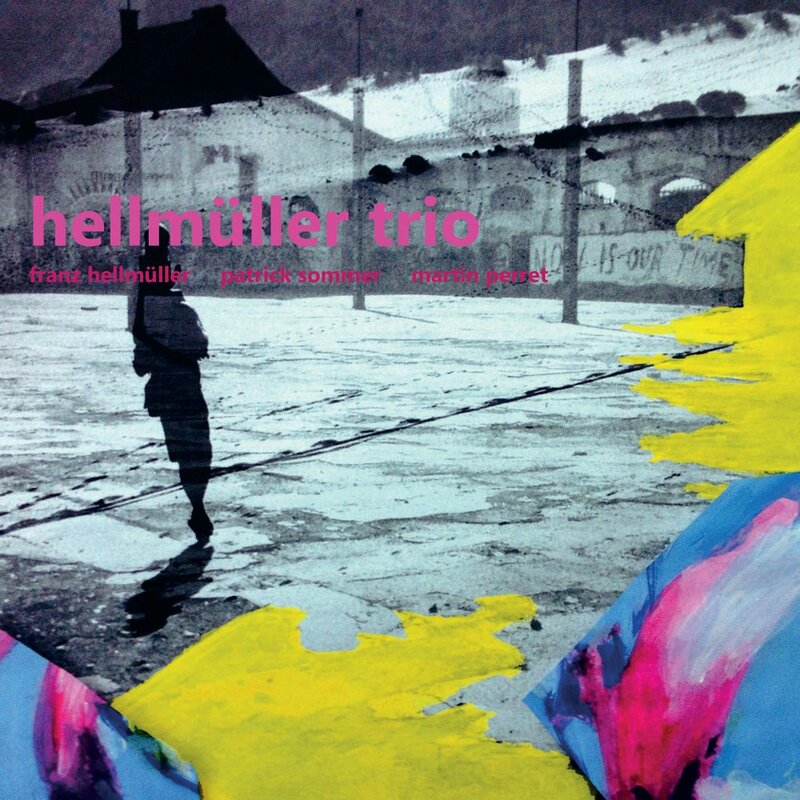 The Swiss guitarist Franz Hellmüller and his trio build creative, refined musical worlds. Longing melodies, fine nuances, orchestral elements and aspects of rock come together to form vast, towering soundscapes. After his last two trio-albums “waiting for you” and “norsten”, celebrated by press and public alike, Hellmüller, together with the Swiss musicians Patrick Sommer (bass) and Martin Perret (drums), continues to pursue his musical vision with “magnolia” (out from Unit Records in March 2016). He remains faithful to his concept of improvisation, granting much freedom and space to each musician. A necessary condition for the emergence of the distinct “flow”, which is rapidly becoming Hellmüller’s trademark, especially when playing live. The press has already likened his music to that of the Jimi Hendrix, Pat Metheney, Bill Frisell and John Abercrombie trios; the brilliant interplay has been praised and the music has even been called “a piece of happiness”. No reason, therefore, to leave the chosen path. Yet Hellmüller does not stand still – his concern is to further develop his music, to let it flow, and to be open to it choosing new directions. The way of playing is more important than putting the music into a defined category. 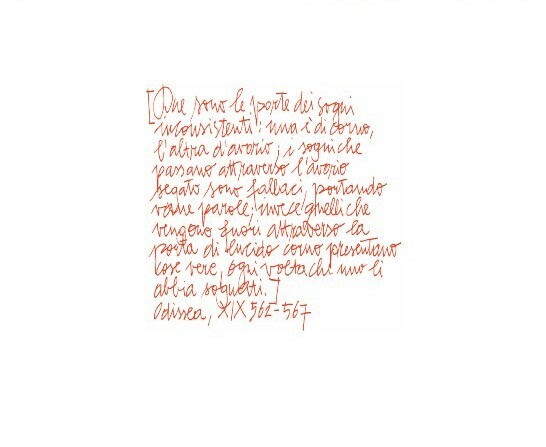 If that happened, the “flow” would be lost or could not come into being – a freedom that Hellmüller wants to preserve for his music. 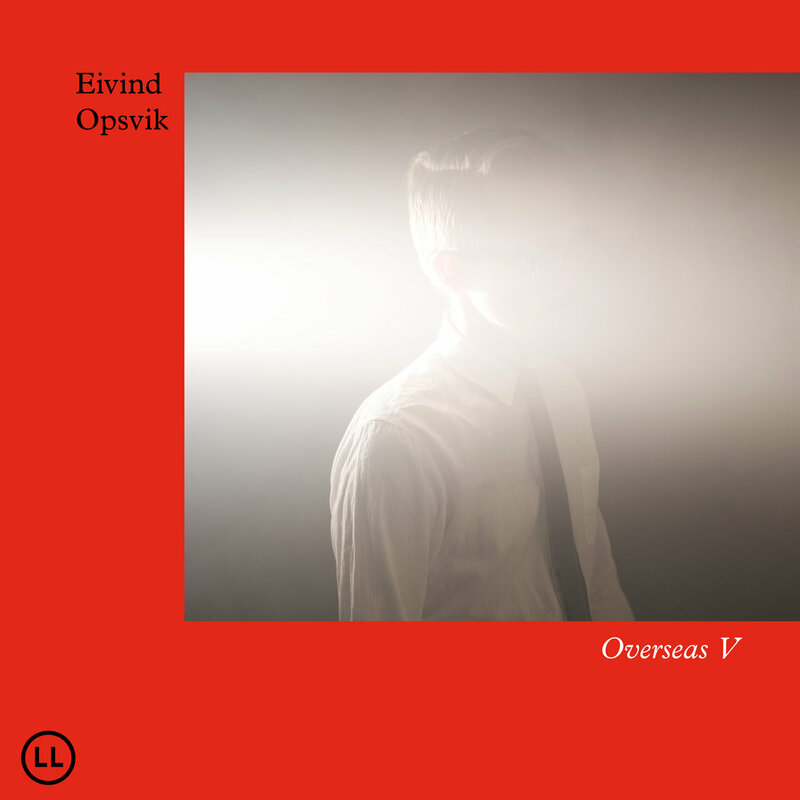 Bassist-composer Eivind Opsvik, born and raised in Norway but resident in New York City for some two decades, has developed an utterly individual musical soundprint, one that blends the song-minded composition and creative studio craft of art rock with the virtuosic edge and spontaneity of progressive jazz. Opsvik’s sequentially numbered series of instrumental albums dubbed Overseas, begun in 2003, and continues here with Overseas V. Time Out New York called Overseas IV one of the “freshest” albums of 2012, extolling its “depth.” The hooks-galore writing, artful production and sublime playing remain constant in Opsvik’s work, but in the place of the Baroque atmospherics of Overseas IV are post-punk influences, from the melodic bass lines of Joy Division/New Order to the funky stutter of Talking Heads. Then there is the inspiration of Brian Eno’s early avant-rock LPs – catchy, off-kilter songs played by great musicians – and the lessons young Opsvik learned from experiencing guitarist Terje Rypdal and other of ECM’s Scandinavian jazzers live, not just on record. The latest, road-honed version of Opsvik’s Overseas band features close longtime friends, who happen to be some of the most compelling improvisers on New York’s creative music scene: saxophonist Tony Malaby, guitarist Brandon Seabrook, keyboardist Jacob Sacks and drummer Kenny Wollesen, all for whom quality of sound matters more than quantity of notes. The nine tracks of the LP-length Overseas V are also concise and immediate, with no songs hitting six minutes and only three over five. Rhythm more than melody and atmosphere are the basis of these pieces, with a lot of the drum grooves written out. The band is elastic with time and pitch, and the improvisations are very concise. 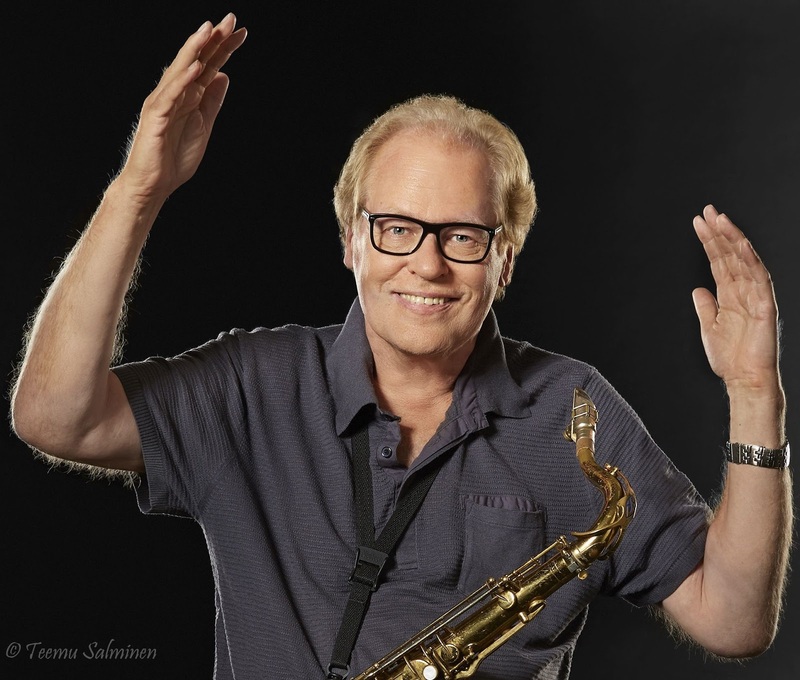 The saxophonist and composer Eero Koivistoinen, who turned 70 this winter, is going through an exceptionally creative phase in his career. 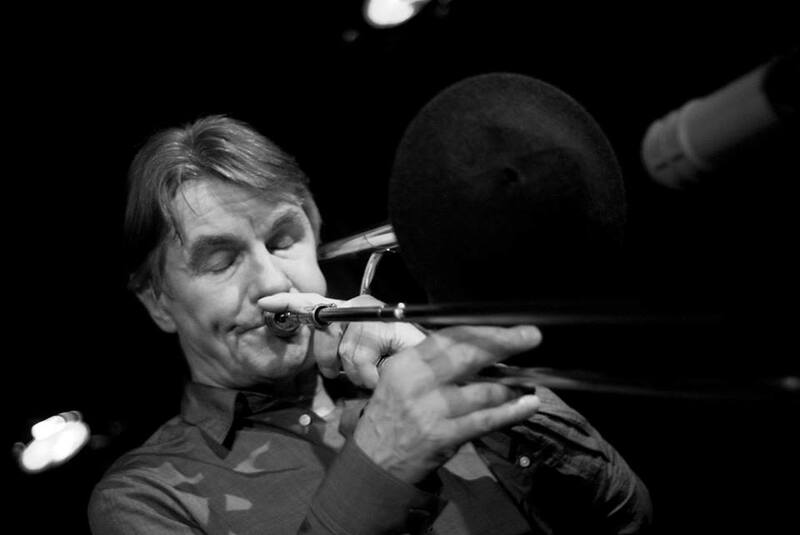 Koivistoinen celebrated his birthday together with the jazz orchestra UMO (Uuden Musiikin Orkesteri, New Music Orchestra), which he took part in founding in the mid-seventies. 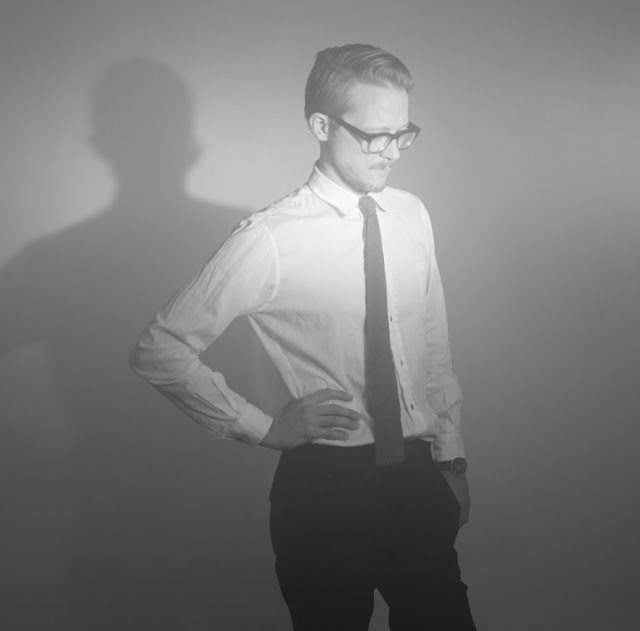 The orchestra played four concert hall dates with Koivistoinen at the helm both as conductor and solo saxophonist, and decided to join forces in the studio as well. Arctic Blues was recorded in Helsinki this winter and mixed and mastered in Power Sound Studio, Amsterdam. The album is a showcase of Koivistoinen’s talents as composer, arranger, saxophonist as well as conductor, conducting one of the most remarkable European big bands of today. 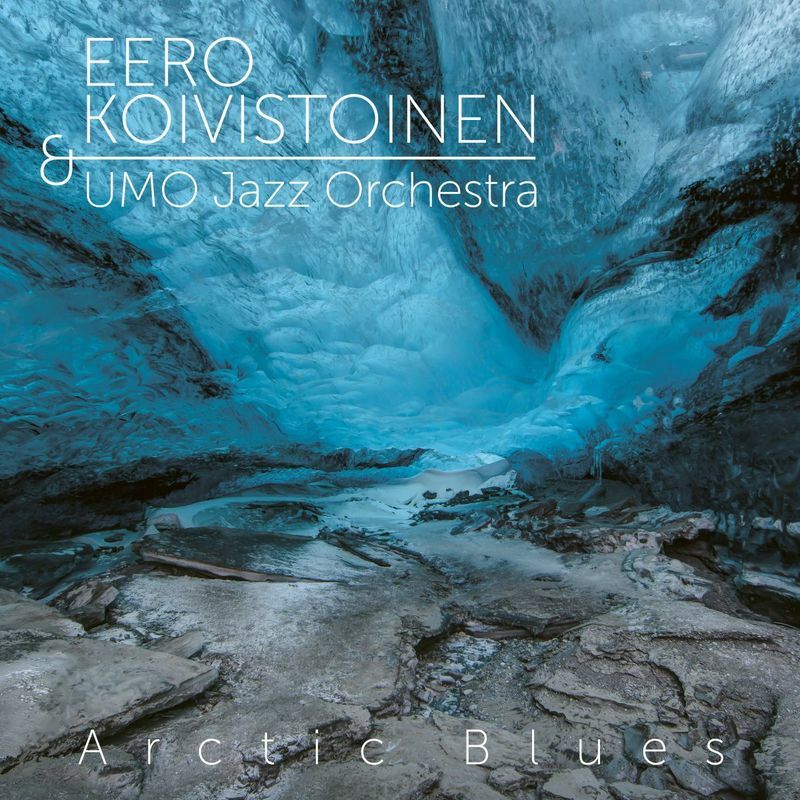 Arctic Blues is a behemoth of an album, spread over two CDs and three LPs, being the first Finnish jazz record of such magnitude. After founding UMO 40 years ago together with Esko Linnavalli and Heikki Sarmanto, Koivistoinen has often worked with the orchestra, and also acted as its director for a few years in the 1990s. Arctic Blues consists of mostly new material, recorded in the winter of 2016, but also features three tracks from a live session at UMO Concert House in 2005. The album has big band renditions of Koivistoinen’s past work as well as material written for this record in mind. 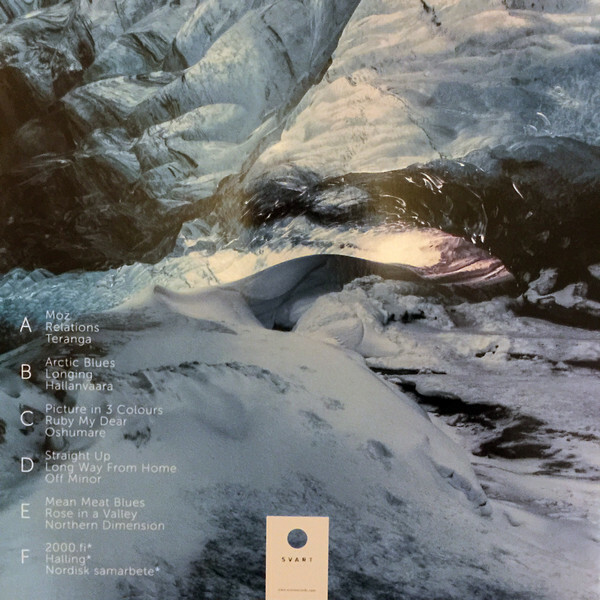 Svart Records are proud to release Arctic Blues on double CD, triple LP and digital formats on November 25th. Svart also have an ongoing reissue program of Koivistoinen’s past work, with LP reissues of classics such as Wahoo and 3rd Version. Ed Kröger, der in Cuxhaven aufwuchs, als Kind Klavier und vom 16. Lebensjahr an Posaune gelernt hatte, studierte ab 1965 in Bremen Posaune. Er spielte dort im Sextett von Harald Eckstein, mit dem er auf den Festivals in Düsseldorf, Frankfurt, Wien und Zürich auftrat. 1967 gründete er mit Sigi Busch und Heinrich Hock eine eigene Gruppe, die um Joe Viera erweitert 1968 in Österreich, Ungarn und Luxemburg gastierte. Kröger arbeitete weiterhin mit Marion Brown, Steve McCall, Gerd Dudek und Albert Mangelsdorff und trat 1968 und 1969 in den Free Jazz-Gruppen von Fred Van Hove und Wolfgang Dauner auf dem Berliner Jazz-Festival auf. Weiterhin verfasste er das Lehrbuch „Die Posaune im Jazz“, bevor er nach dem Examen als Orchestermusiker ein Studium als Musiklehrer begann. 1972 wurde er als deutscher Vertreter zum Jazzworkshop der Europäischen Rundfunkanstalten entsandt. 1973 wechselte Kröger zum Klavier, spielte im eigenen Trio, aber auch mit Manfred Schoof, Wolfgang Engstfeld, Christof Lauer, Uli Beckerhoff und Wolfgang Lackerschmid. Er war weiterhin als Dozent an den Musikhochschulen in Hannover und Hamburg tätig. 1984 kehrte er wieder zur Posaune zurück und gründete (u.a. mit Detlev Beier) die Gruppe „Trombone Jazz“. Seit 1999 tritt er mit seinem bop-orientierten Quartett bzw. Quintett auf. „In the Moment“ ist eine Momentaufnahme, die die musikalische Entwicklung der Band dokumentiert. Die meisten Ensemble-Mitglieder spielen schon seit mehr als zehn, einige sogar schon seit rund 20 Jahren miteinander. „Auf der zurückliegenden Tour haben wir neues Material ausprobiert, was uns zahlreiche stimmungsvolle und unvergessene Momente bescherte. Von diesem Band-Spirit wollten wir so viel wie möglich ins Studio retten“, blickt Kröger auf die Aufnahmen zurück. Aus Sicht des Bandleaders hat sich vor allem die Rhythmusgruppe deutlich weiterentwickelt. Hier vereint der Pianist Vincent Bourgeyx brillante Improvisationsgabe mit einer seltenen Balance aus technischer Meisterschaft und musikalischer Kreativität. Auch der neue Bassist Tom Berkmann fügt sich mit seinem erdbezogenen Sound perfekt in die hochkarätige Rhythmusgruppe ein, die durch Rick Hollander komplettiert wird. „Rick ist der Motor des Ensembles, der mit seiner Energie und Initiative die Musik entscheidend mitgestaltet. Ich fühle mich durch ihn enorm inspiriert, weil er immer wieder neue Ideen für die Improvisationen liefert“, erklärt Saxofonist Dinné die Funktion des Drummers. „Changes“ nimmt dagegen Bezug auf einen musikalischen Schatz, der erst kürzlich aus den Tiefen der Archive gehoben werden konnte. 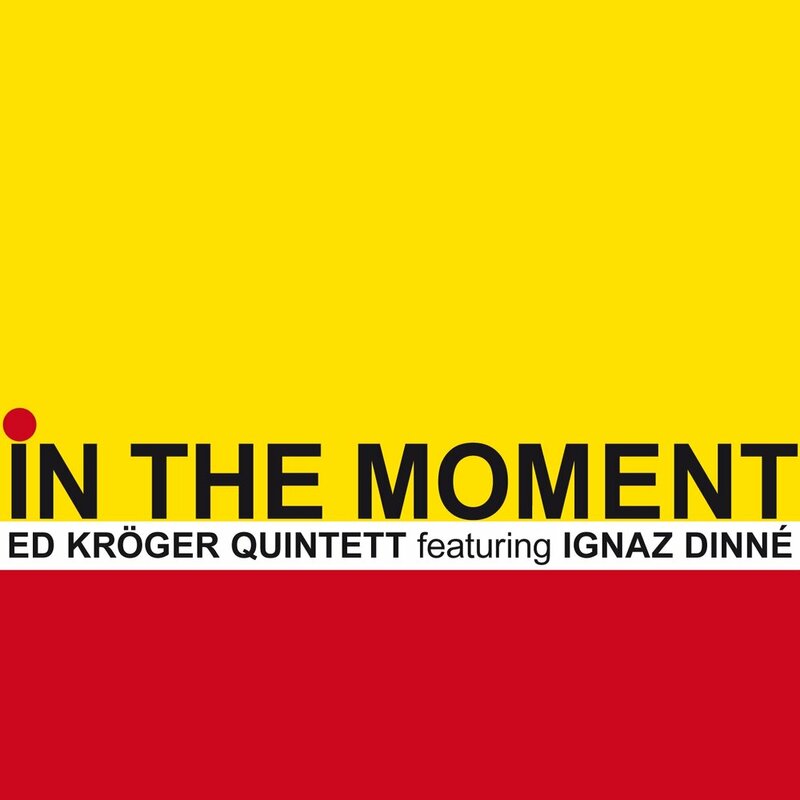 1983 hatte Ed Kröger mit dem Hardbop-Quintett „Changes“ ein Album in Köln eingespielt, das lange als verschollen galt. Bis sich herausstellte, dass Bassist Detlev Beier Aufnahmen der legendären Sessions besaß. „Ihm haben wir dieses Stück gewidmet, weil er im vergangenen Jahr verstorben ist“, erklärt Kröger. 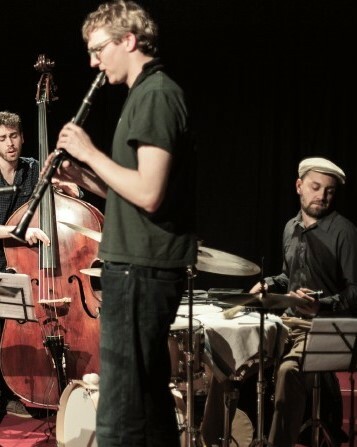 Neben den sieben Eigenkompositionen (vier aus der Feder von Kröger, drei von Dinné ) hat das Ensemble auch eine Komposition des Saxofonisten Eric Dolphy eingespielt. „245“ ist ein langsamer Blues, eine musikalische Reminiszenz an ein Haus in Brooklyn, das einst Slide Hampton gemietet hatte. In diesem Haus mit der Nummer 245 wohnten neben Dolphy noch andere Musiker in einer Art Kollektiv. Auch aus dem Ed Kröger Quintett ist im Laufe der Jahre eine - im besten Sinne des Wortes - musikalische Familie geworden, die drei Generationen vereint und ihre Stärke aus den Unterschieden ihrer Mitglieder schöpft. So kann Bandleader Kröger (Jahrgang 1943) auf mehr als 50 Jahre Bühnenerfahrung zurückblicken, während sich Dinné (Jahrgang 1971) durch Studienjahre in Boston und New York den kompositorischen und solistischen Feinschliff holte – bei Musikern wie Ron Carter, Herbie Hancock, Wayne Shorter und Wynton Marsalis. „Ich bewundere, mit welcher Leidenschaft Ed die Band künstlerisch, vor allem aber auch menschlich leitet“, beschreibt Dinné die besondere Chemie in dem Quintett, in dem er den Wohlfühlfaktor als hoch, der Stresslevel dafür als umso niedriger empfindet. „Musik bedeutet für meinen Vater nicht einfach nur, ein Instrument zu spielen, sondern Musik ist für ihn ein Lebensgefühl - auf und außerhalb der Bühne“. The David Tixier Piano Solo Project is a journey that transcends innumerable worlds and eras of time. All the worlds are anchored by the same foundation, one that is charged with limitless imagination and an insatiable passion for narrating stories. The album title, “The Giant Corners”, personifies a melody that chronicles the life of a giant that is immovably stuck in a small universe—a small box with four minuscule corners called “Earth”. The plot metaphorically conveys man’s capacity for an unbounded and immeasurable potential for imagination and creativity; each mind has the capacity to cast and project itself unto any envisioned reality. Wherein, one’s only true barriers to this unbounded capacity are the current limitations of reality; these limitations are that of the “Giant Corners”. 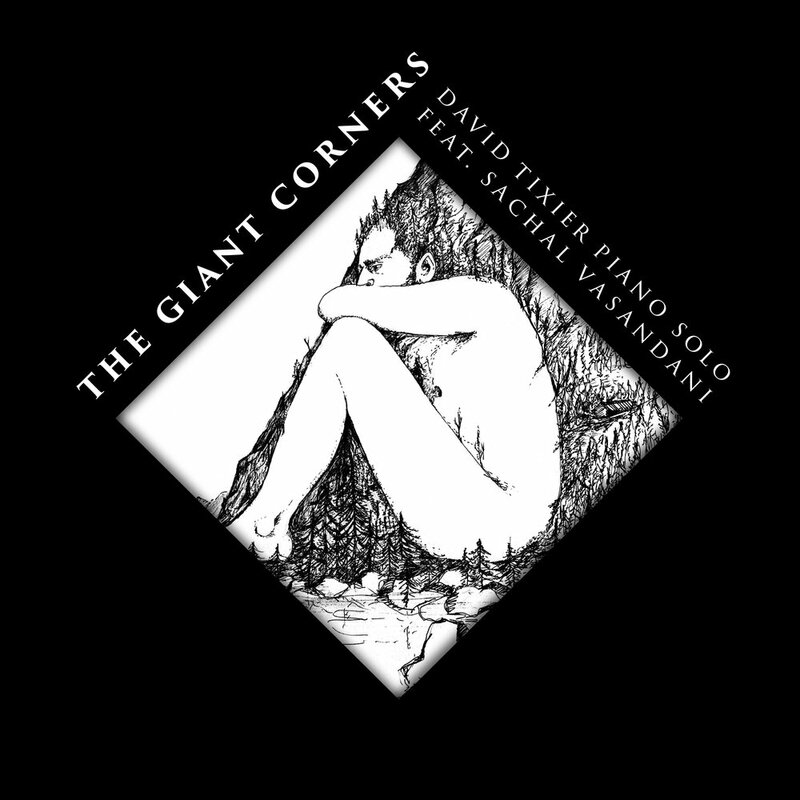 In articulating the narrative through musical dialogue, David Tixier has partnered with the talented American singer Sachal Vasandani; Vasandani will chronicle the tale of the Giant through his voice among other creative stories in the Project. 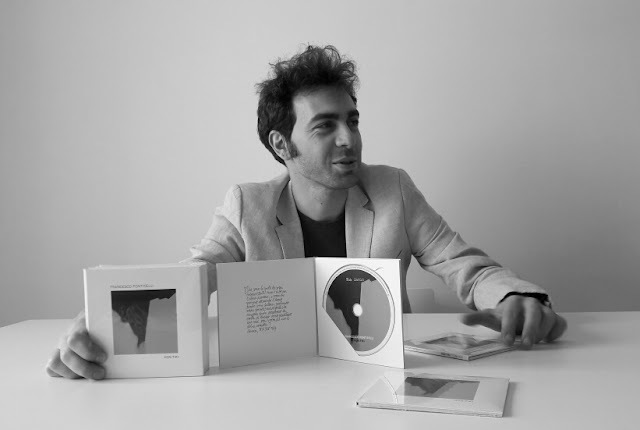 Vasandani’s voice complements Tixier’s dimensions and the duo have produced a truly unique ensemble through their pairing. All compositions by David Tixier except How Deep Is The Ocean from Irving Berlin and Isn't She Lovely from Stevie Wonder. 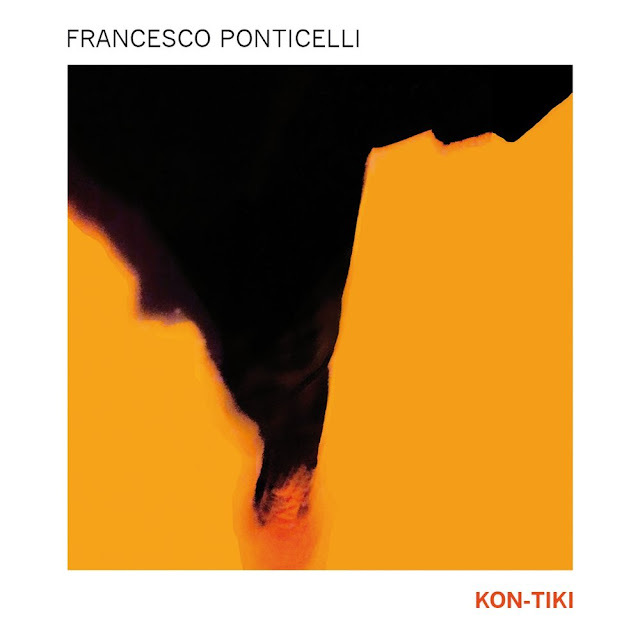 Recorded at Recording Studio of Bern Music Academy, in Bern, Switzerland and at Blend Studio, in Lutry, Switzerland. Special Thanks to Lada Obradovic for all advices and for following closely this project through its evolution.Many thanks to my family, Myriam Tixier, Roland Barmès and Odette Barmès. Thanks to all my team Jacques Beaud, Tom Maeder, Manuel Devier, Vincent Triponez, Jennifer Scherler, Sachal Vasandani, Chris Diggelmann, K.T.Z. 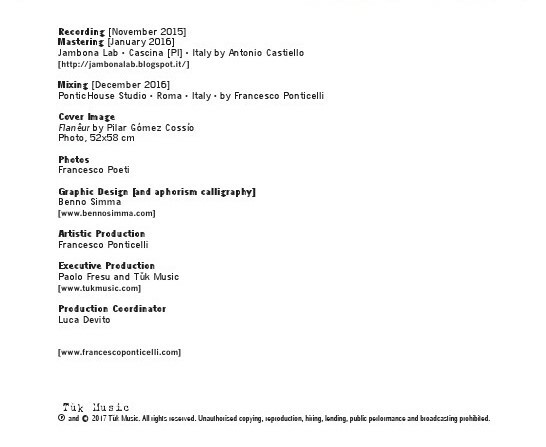 design and Unit Records. 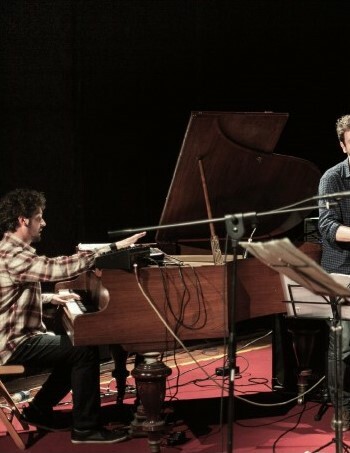 The Daniel Karlsson Trio have since their album debut Das Taxibåt in September 2013 established themselves as one of the most interesting constellations in Swedish jazz. Not least through the magnificent hat trick brought home by their sophomore release Fusion for Fish, released in August 2014. The album ended up winning the Swedish Radio’s Jazz Group of the Year Award 2014, Swedish jazz magazine OJ’s Golden Disc 2015 as well as the Swedish Jazz Grammy 2015. Ears have been opened abroad as well, their music met with press accolades and frequent airplay in Germany, but also in the UK and Ireland. This does not mean that the trio are resting on their laurels. New music has been recorded through the Fall of 2014 and the Spring of 2015 on the island of Runmarö in the Stockholm archipelago and then honed to perfection at the brus & knaster studio in Stockholm. The result is now ready to be sent off into the world. On this, their third outing, there’s a also new member in the band. Double bass player Kristian Lind has moved to Turkey and has been replaced by his namesake Christian Spering, an outstanding musician and an exceptionally well known name for those in the know of the Swedish jazz scene. 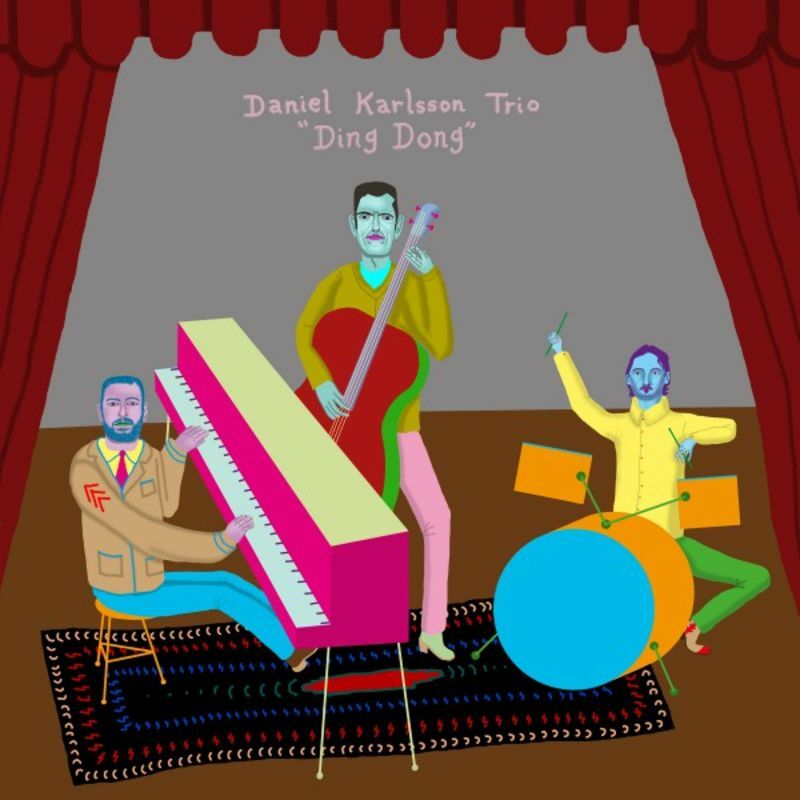 As always the new album contain a collection of exciting original compositions by Daniel Karlsson. Nine new songs (we had to drop one title on the LP version) with a more or less pronounced lucullic theme apparent in the song titles. Soundwise there is no reason to worry, the trio’s distinctive characteristics are very much in place, only even more so this time around. A slew of analogue synthesizers and a rare instrument in jazz settings, the Mellotron, frequently adding to the soundscape. This is not a first in jazz however, Herbie Hancock’s Mwandishi years of the early 70s featured Mellotron on both the Crossings and Sextant albums. 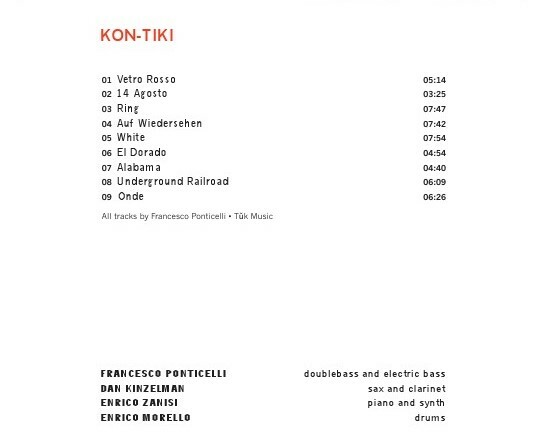 The preeminent guitarist Andreas Hourdakis makes cameos on two tracks just as on Fusion for Fish and Daniel’s sister, Rebecka Karlsson, baroque violinist, is also featured on one track. And as on Fusion for Fish the brilliant artist Richard Johansson has lent us one of his out of this world oil paintings for the cover.